We have them for you, from pre-built Customer and Employee Self-Service Portals, to other modular portals that can be employed in days rather than weeks or months, to the do-it-yourself version of our Form Engine, empowering you to no-code digitize and automate your forms and documents and their workflows everywhere. 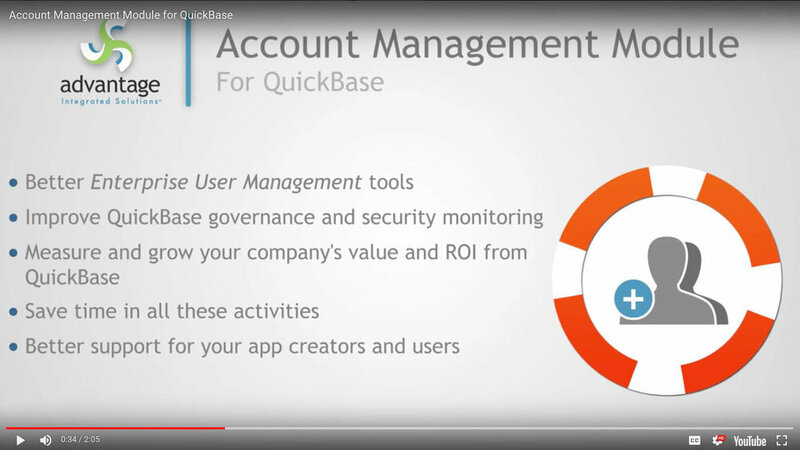 For governance and management of broad use of Quick Base, our Account Management Module for Quick Base can gives you the tools and visibility you need to support enterprise use. Click to download our white paper on Best-Practice Quick Base Platform Governance. Leveraging our pre-built applications, portal templates and other tools can help take Quick Base and your other cloud-based apps to the next level. Contact us for live demos.